There are currently 116,308 users on this website. 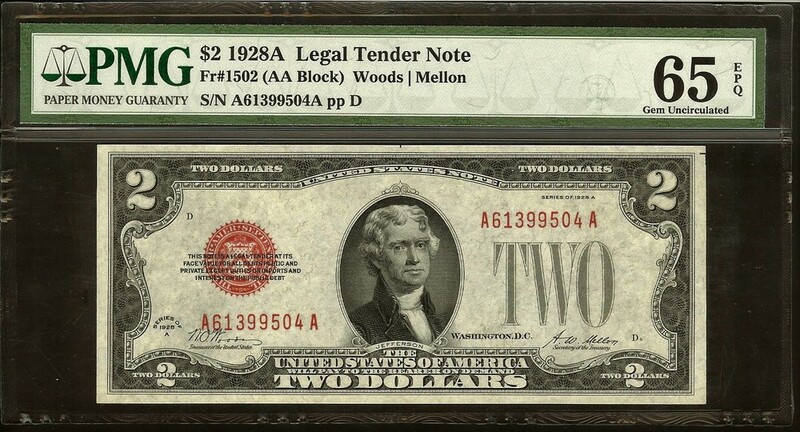 Been looking for some time and finally found this nice 1928A $2 US Note. This is the second-scarcest non-star in the entire run. I had decided I couldn't afford a 66, but after getting this one I couldn't complain. I've seen worse in 66 holders! Just the tough 1928B to go for the complete 1928 series. That looks like it will do jussst fine. I'd give it a 65+. Very nice looking note MrFrog. Thanks guys. The '28B is hard to find at anything close to recent auction records. I'll let you know! That is a beautiful note. The 65 EPQ almost seems a low grade for that bill. Very crisp looking. I always liked the $2 bill. Those red seal small notes are real eye grabbers. 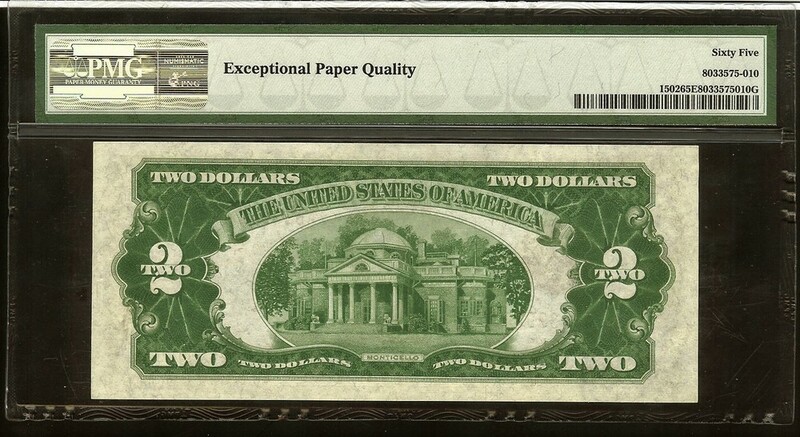 I only have one, a Series 1928 $1, and I grade it only Fine at best. Maybe I'll sniff around for a CU one. Or considering the price, maybe not. 1995 D Lincoln Cent Double Earlobe ? Help Please .. Silver In Penny? Is This An Error On A 1944 Copper Penny Or Environmental Damage? 1945 S Super Long Lam Or Split Die? 1982-P Dime Which Is A Little "off"on The Obverse.